Apple is set to celebrate the 10th anniversary of the iPhone next year. The latest rumours suggest the tech company will mark it by launching the iPhone 8 alongside the iPhone 7s and 7s Plus. This supposed iPhone 8 is believed to be an even more powerful version of the phone and is being codenamed "Ferrari". Sources on Apple's East Asia supply chain are believed to have leaked company documents onto the web that were then spotted by Apple Insider . The documents refer to three handsets: D20, D21 and D22. The documents describe a high-powered "Ferrari" phone with wireless charging, an "invisible" home button and an AMOLED screen without any bezels around the side. These all follow on from various iPhone 8 rumours pointing to an OLED screen and the removal of the home button . According to Apple Insider: "'Ferrari' is also expected to come with a substantial internal redesign that breaks the logic board into two discrete units connected by a flex cable, the report said. "The first board will carry iPhone's operating guts like the expected "A11" SoC and NAND flash storage, as a communications package with Wi-Fi and cellular components lives on a second board." What's unclear is what screen size the iPhone 8 "Ferrari" will come with. Apple began creating the Plus-sized iPhones to meet demand for larger screens. The D20 and D21 are believed to refer to the iPhone 7s and iPhone 7s Plus - following the same release cycle Apple has pursued for the last few years. 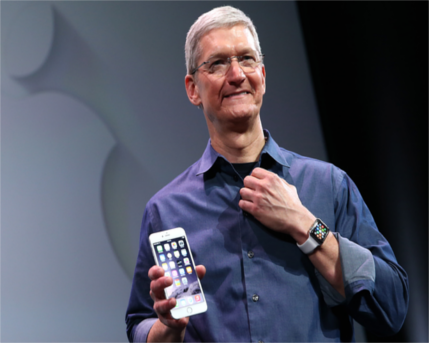 Apple has remained as secretive as ever when it comes to its plans for the future. There's no way of knowing whether this rumour will prove accurate or if it's wishful thinking on the part of the Apple faithful. However, as with the iPhone 7, the iPhone 8 won't feature a headphone jack, meaning users will have to adopt Apple's Lightning connector or opt for wireless Bluetooth headphones.